NYC Land Surveyor | NY Land Surveyor Queens NY | Rampa Land Surveying P.C. Residential Surveys are trustworthy and reliable. Learn more about how RAMPA conducts title/mortgage surveys. RAMPA offers Builder Services including Commercial/Residential Grid Line Layouts; this is a great way to prevent encroachment issues with neighbors. Stay friendly with RAMPA. For any and all of your commercial surveying needs, you can rely on us to deliver accurate results, on time and within budget. We have many years of combined experience with commercial surveys throughout our service area. Learn about RAMPA’s approach. Are you looking for high-grade residential and commercial land surveys in and around New York City? We can help. We are a seasoned firm of land surveyor professionals with the capacity to complete all your commercial and residential land surveys, promptly, competently and for a competitive price. Our team recognizes that builder surveying services and similar surveying options are an essential part of any construction or development process, as well as important for successful land and property transfer. No matter what you want your land survey to achieve, we can make it happen. When it comes to your commercial land surveys, we do everything we can to make sure you get the accurate, detailed information you need for successful decision-making. That’s why we’ve invested heavily in the equipment we use, ensuring you end up with hi-tech results that give you an exceptional amount of comprehensive data. When you contract with us, you end up with the services of a professional land surveyor who is able to produce the high-caliber land survey results you need. We understand that when it comes to construction land surveying, timing can be critical! Not only are we a firm you can rely on (so if we say we will have your work completed by a specific date, you can depend on us to do so), but we also do everything we can to meet your deadlines. If you need rapid access to an experienced land survey company that’s familiar with the local area and the issues which may affect your land, we can get the job done. 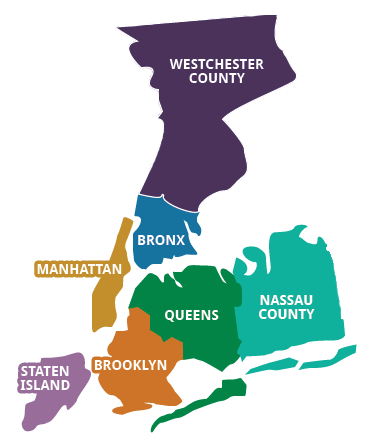 If you’re located in or around NYC, our land surveying could be the perfect option. To request one of our standard survey choices, or to discuss your requirements in more detail, call us at (718) 925-3680. If you require accurate and affordable survey services within Manhattan, Brooklyn, Queens, The Bronx, Staten Island, Nassau county or Westchester county, you can rely on Rampa Land Surveying to deliver quality results and excellent service every time. To learn more or obtain a quote, contact us, call or text us at (718) 925-3680.